Did you know that SolidWorks Electrical contains a full set of 2D drafting tools for editing electrical drawings? Here are just some of the features that will help you easily maintain your legacy data while also reaping the benefits of creating your new designs faster and better with SolidWorks Electrical. The “Drawings” tab has many familiar drafting tools to quickly change or add details to your drawings. All of the obvious ones are there: lines, arcs, rectangles, circles, text, etc. You’ll also find tools like move, copy, offset, stretch, and mirror. One of the most common drafting practices found in electrical drawings is the use of symbols or “blocks.” SolidWorks Electrical can read, edit, and save 2D blocks. 2D users have grown accustomed to managing their drawings with layers and SolidWorks Electrical has that too. Another thing that makes me feel comfortable when utilizing SolidWorks Electrical is its use of Grid, Ortho, and Object Snaps. All those things you’ve learned from using 2D tools, like DraftSight, will help you quickly edit drawings in SolidWorks Electrical. As mentioned above SolidWorks Electrical can read 2D symbols and blocks. In fact, it has a great wizard that allows you to import multiple DWG or DXF files. As you import these files, you have the options to swap older legacy symbols or blocks with new ones that you have developed. You can also swap title blocks or update attributes on the fly as you open the drawings. You can also save these settings in an import configuration file for future use. If you need to continue to provide DWG/DXF files for suppliers, SolidWorks Electrical can export to those formats as well as the widely used PDF format viewable in Adobe Reader. 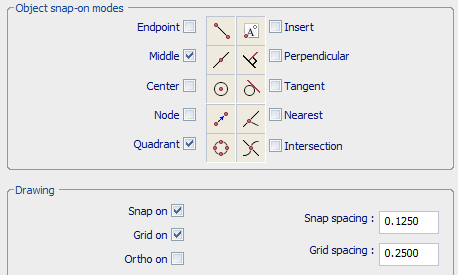 When I first delved into the features available for editing legacy DWG/DXF files, I was pleasantly surprised. I was already convinced of the cost and time saving benefits of SolidWorks Electrical, but my customers need to know they can continue to leverage years of legacy data. I was excited to find out that SolidWorks Electrical can not only provide new and intelligent tools for improving the process of creating electrical schematics, it also supports maintaining and utilizing your legacy electrical drawings. Scott High is the Technical Services Manager at 3DVision Technologies, a SolidWorks Value Added Reseller with locations across Ohio, Indiana, and Kentucky. He is a regular contributor to 3DVision Technologies' Blog where you will find new ideas to improve your productivity with SolidWorks. Want to try out SolidWorks Electrical? You can request a free trial on our website.